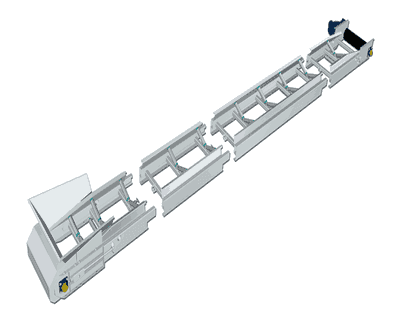 With possibly the largest fleet of Conveyor Belts for hire in Australia, choose from our Industrial Steel Flatbed Conveyor, Industrial Steel Trough Conveyor, Lightweight Aluminium Flatbed Conveyor or Lightweight Aluminium Trough Conveyor. 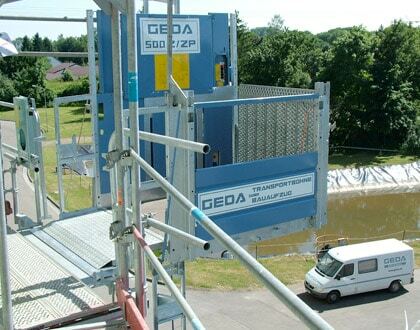 Efficiently move material up and down on site with our Materials Hoist. Choose from our Maber 800kg Double Barrow Materials Hoist, Geda 500kg Double Barrow Materials Hoist, Geda 300kg Single Barrow Materials Hoist or Geda 200kg Combi Lift Materials Hoist. 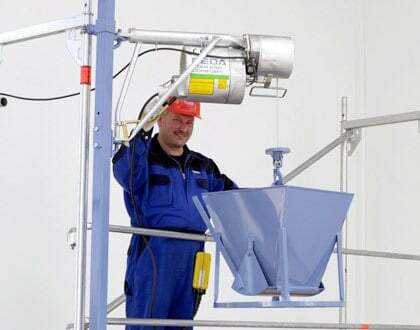 Lift materials up to 150kg with ease using our Pivot/Swivel Arm Hoist. Star Hoist head swivels 170 degrees to allow for safe unloading. Multiple attachments available for various lifts. 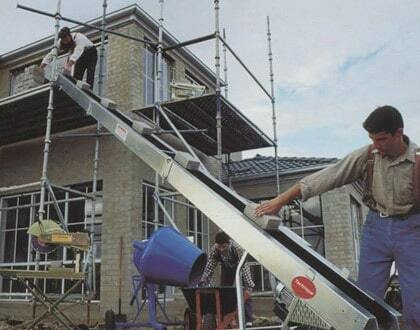 Move tools, building materials or bulky furniture up or down with our Ladder Lifts. 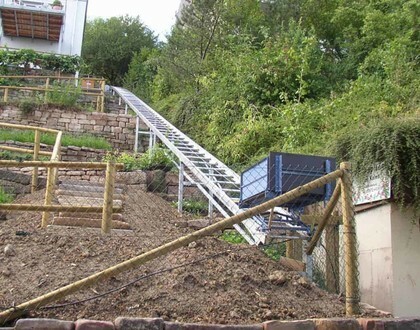 Ladder Lifts are versatile and can be fitted with suitable attachments to lift different materials or even a self-tipping skip to remove unwanted materials. 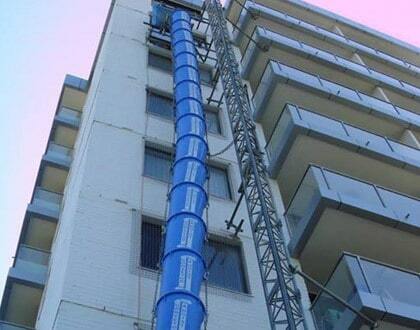 Safely dispose of rubbish from any level directly into a bin with our Rubbish Chutes. 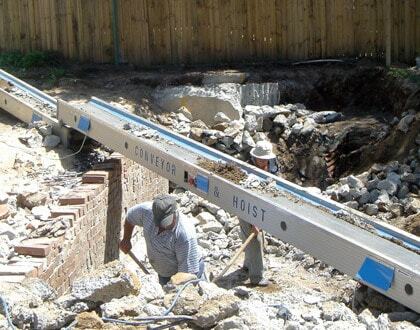 Rubbish Chutes are ideal for restoration, construction or remedial products and can be mounted off a scaffold, window frame, wall or slab edge. 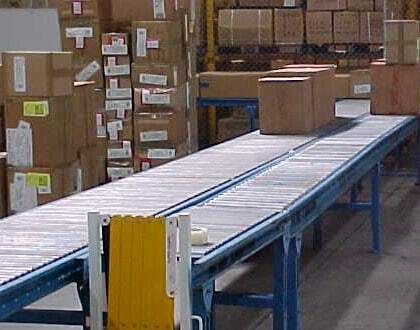 Convey your products quickly and easily with our Gravity Rollers. Gravity Rollers are un-powered series of rollers arranged with a slight downwards-slope enabling box materials to easily be moved over short or long distances. Move your bricks in a cost-effective, safe way with our range of Brick & Block Elevators. Brick & Block Elevators are quick to set up, easy to use and operate in forward or reverse.